Prime Minister Sheikh Hasina on Thursday expressed deep shock and sorrow at the death of gallantry award-recipient female freedom fighter Kakan Bibi, Bir Pratik. In a condolence message, the prime minister recalled with profound respect the outstanding role of the valiant freedom fighter in the great war of liberation in 1971. 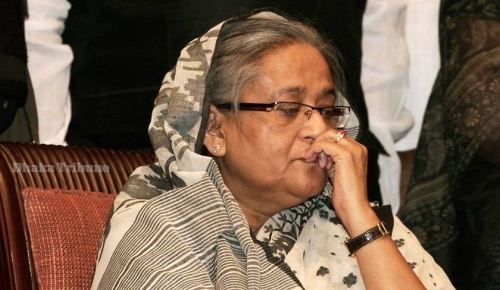 Sheikh Hasina said Kakan Bibi joined the liberation war keeping her three-day-old daughter. "She took part in the frontal war and also worked as a spy during the war," the premier said, reports UNB. She said the nation and the country will ever-remember these unique contributions of Kakan Bibi, who was tortured by the Pakistani occupation forces. Kakan Bibi breathed her last on Wednesday night at Sylhet MAG Osmani Medical College Hospital.